Hello Sacramento residents! Your overall oral health depends not only on healthy teeth but also healthy gums. Proper oral hygiene helps keep both your teeth and gums in good shape. I am Dr. Michael Boyce of Arden Dental Care – Michael S. Boyce DDS. My staff and I promote preventative dentistry by working with our patients of all ages to establish essential oral hygiene habits. If you haven’t had a check-up in a while, or are experiencing gum soreness or recession, call Arden Dental Care – Michael S. Boyce DDS today at 916-481-2001 to schedule a thorough tooth and gum examination in Sacramento. During your exam, Boyce Michael will measure the depth of the pockets around each tooth. If you already have gum disease, we will help you restore gum health. At Arden Dental Care – Michael S. Boyce DDS in Sacramento, we provide full general and cosmetic dental services including crowns and bridges and Six Month Smiles. 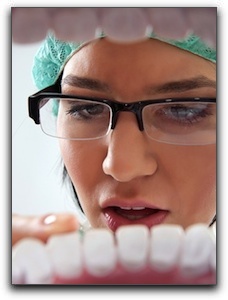 If you have healthy teeth and gums but want to brighten your smile, ask us about teeth bleaching in Sacramento.